Can ask about the different colors/feelings of each shell. 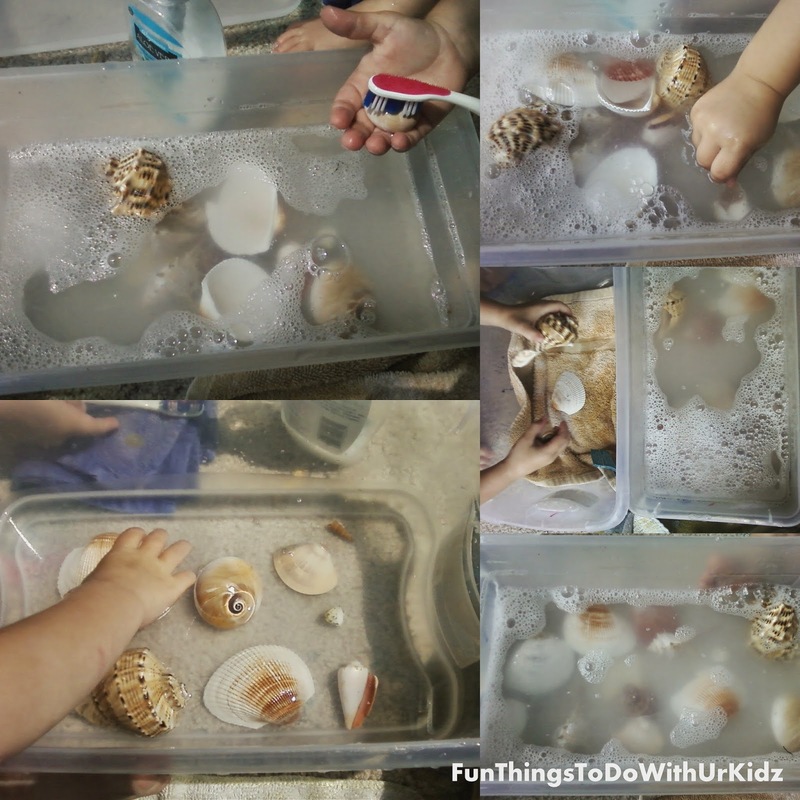 I gave both a tooth brush and rag for my kids to wash these shells. Good for working on fine motor control. Sea shells are another thing we reuse and recycle in many other crafts.